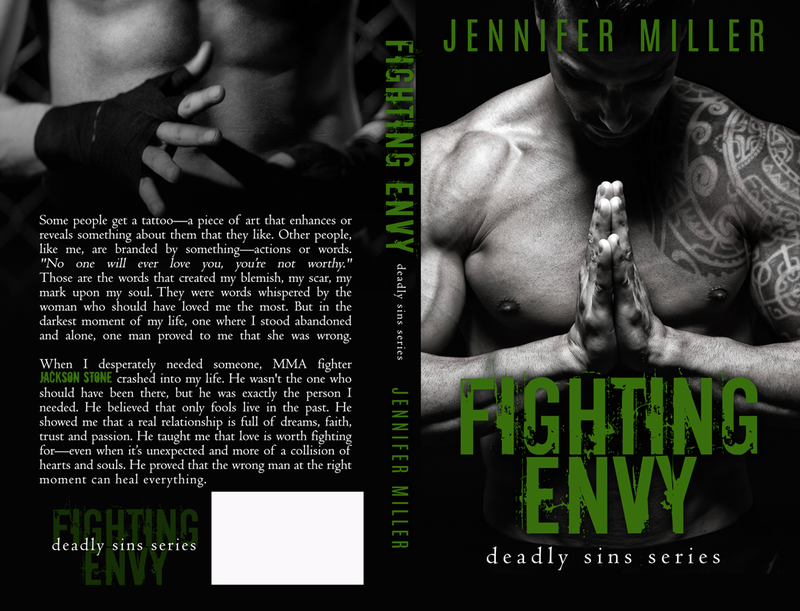 Today is the cover reveal for Jennifer Miller's upcoming novel, Fighting Envy. 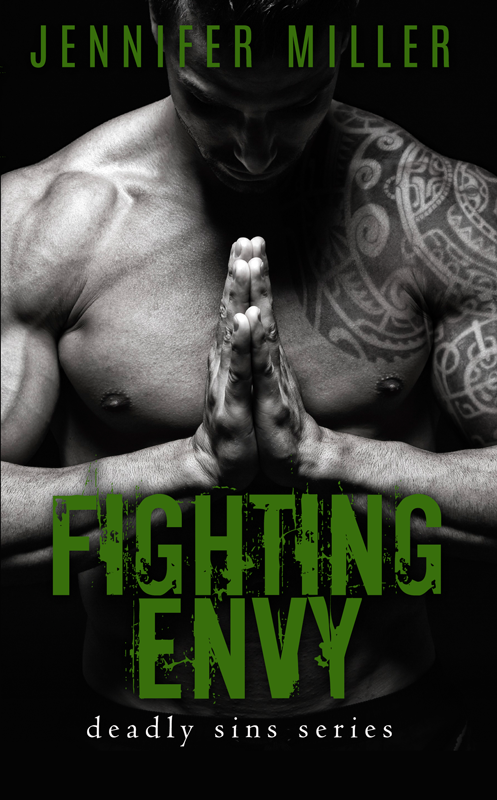 Fighting Envy is the first book in her new series, The Deadly Sins Series. In each novel, a main character will deal with one of the seven deadly sins. The first novel introduces you to seven men in the MMA that will each potentially have their own story. Here is the blurb for Fighting Envy - Some people get a tattoo - a piece of art that enhances or reveals something about them that they like. Other people, like me, are branded by something - actions or words. "No one will ever love you, you're not worthy." Those are the words that created my blemish, my scar, my mark upon my soul. They were words whispered by the woman who should have loved me most. But in the darkest moment of my life, one where I stood abandoned and alone, one man proved to me that she was wrong. 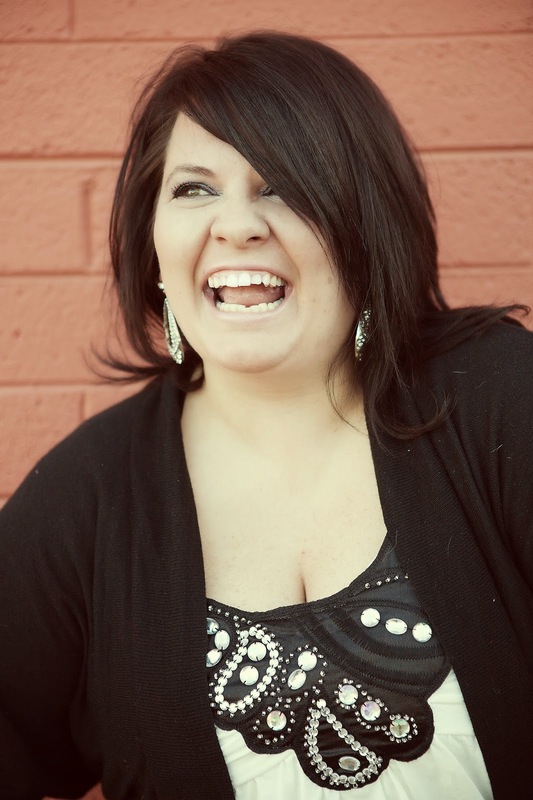 When I desperately needed someone, MMA fighter Jackson Stone crashed into my life. He wasn't the one who should have been there, but he was exactly the person I needed He believed that only fools live in the past. He showed me that a real relationship is full of dreams, faith, trust and passion. He taught me that love is worth fighting for - even when it's unexpected and more of a collision of hearts and souls. He proved that the wrong man at the right moment can heal everything.